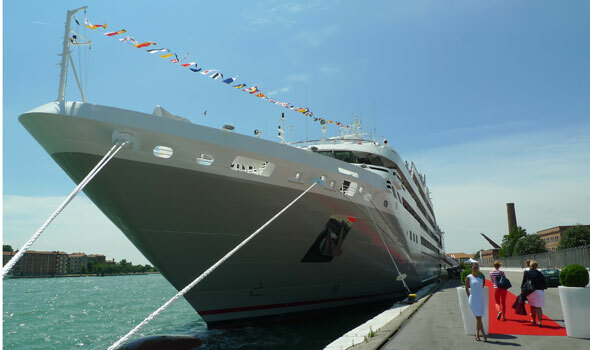 Luxury expedition cruise line Compagnie Du Ponant launched its new ship Le Soléal this weekend with a spectacular fireworks display just outside Venice. The 264-passenger private yacht-style ship had sailed from its Fincantieri shipyard to Venice on Saturday for a special one-night pre-inaugural cruise for VIP guests including the French company’s owners, executives and former French prime minister Michel Rocard. 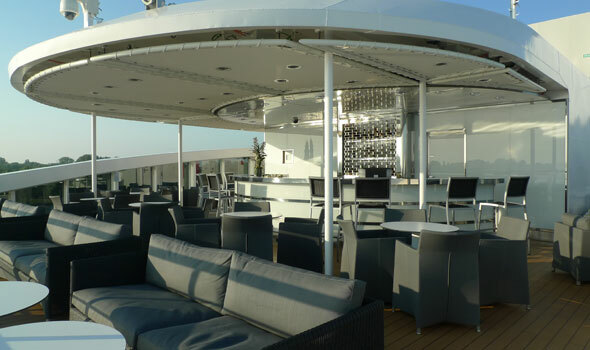 The ship set sail in the late afternoon sunshine, cruising past magnificent St Mark’s Square to the sound of opera music – “Nessun Dorma” from Puccini’s Turandot – while passengers sipped champagne. As Le Soléal slipped through the Venice Lagoon to dip a toe into the Adriatic Sea, guests sat down to a gala dinner of lobster tail, veal and an Inaugural Night suite of desserts including Bellini Macaroon and Limoncello Tiramisu. It was just a flavour of what passengers can expect when Le Soléal becomes the first French passenger ship to sail through the fabled North West Passage this summer in its Arctic itineraries, which will be followed by Far East expeditions before returning to the Mediterranean next year. 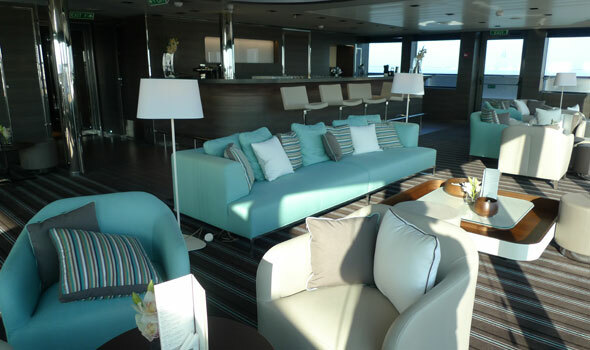 Virtually every cabin has a balcony and facilities include a gym, salon and spa with thermal steam room. But most significantly, Le Soléal is a “green” ship specifically designed for polar expeditions. It has a state-of-the-art navigational positioning system that protects the sea bed by eliminating the need to drop anchor; a quiet and economical electric propulsion system and a submarine detection system that prevents collisions with whales, dolphins and other cetaceans. It uses the less polluting Marine Diesel Oil, processes waste water and solid waste and uses low-energy light bulbs throughout the ship. 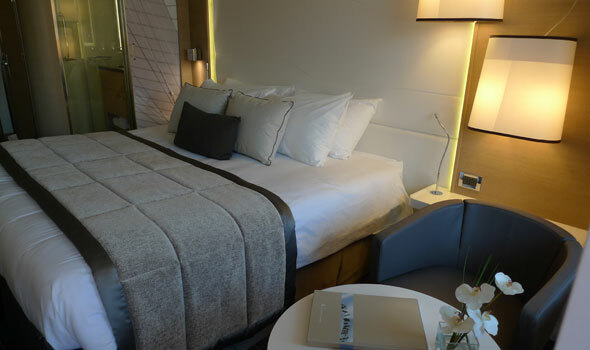 President and founder Jean-Emmanuel Sauvée created Compagnie Du Ponant 25 years ago with the dream of becoming the premier cruise line in France, and now the former naval officer has his sights on the UK market. 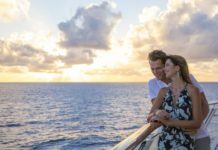 He hopes to attract British customers with a combination of exceptional destinations and new cruise concepts, and says luxury boutique hotels have been a big influence in “creating something new and positive”. 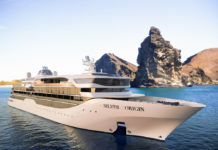 The company is about to sign up for a fourth new ship, “same size, same concept”, which will be ready by May 2015 for expeditions to Alaska, the Russian Arctic and Bering Straights. In the meantime Le Soléal embarks on its inaugural cruise from Venice to Lisbon today, before heading north and calling at Western Ireland on its way to Iceland, Greenland, through the North West Passage onto Russia’s northern coastline and down to Japan and the Far East. 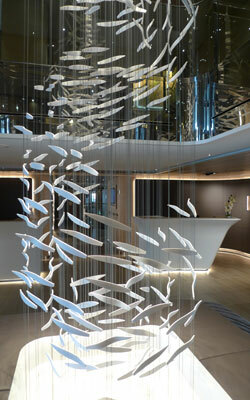 For information about Compagnie Du Ponant visit en.ponant.com or call 0800 980 4027.